Need a facial kit that helps you to make your skin glow and fairer?? Here is a good deal for you. 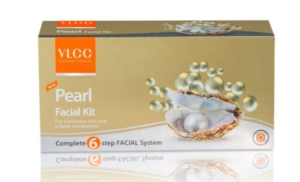 Amazon is selling VLCC Pearl Facial Kit, 240 gm worth Rs.1100 at Rs. 495 Only. This facial kit helps counters problems related to cellular skin damage and helps in instant tan removal and brings an instant glow to the face. Buy Now!! Click here to subscribe to amazon prime at Rs 499 to get free shipping.